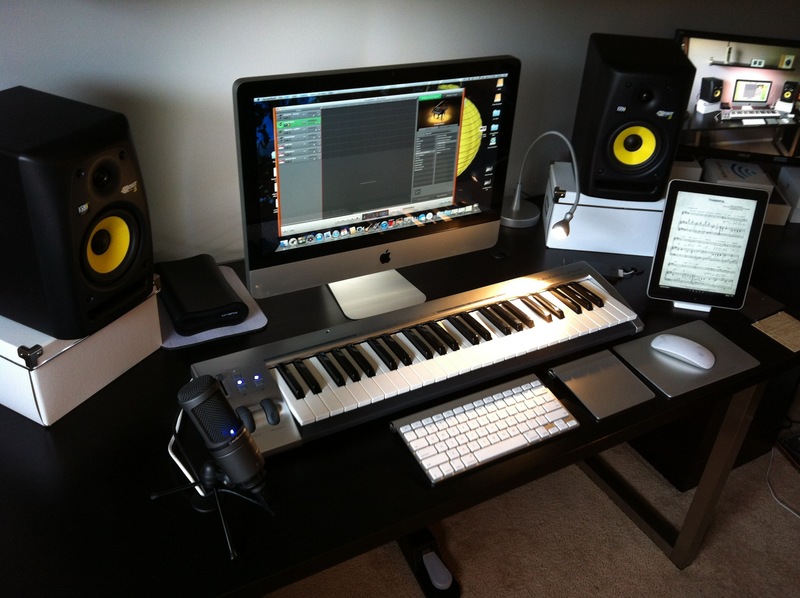 I added an M-Audio KeyRig 49 Midi Controller and a pair of KRK Rokit 5s to my set-up. The powered monitors are sitting on some Ikea boxes until I come up with some sort of stand for them. They sound amazing! Note that my iPad, on the right, is displaying sheet music using the www.musicnotes.com App, which is very cool. The new equipment was purchased at Long and McQuade in Waterloo. Check out the Rokit 5s here and the M-Audio KeyRig here.